Writing a book is a lonely task. The media may pump it up a bit, and the perception may be a life of glamour and travelling to all the bright spots of London, Paris and New York to do book signings and give talks to your thousands of adoring fans. It may be that way for the few bestselling authors of novels that sell in their squillions, but for the humble motoring journalist the journey is somewhat less glitzy. This is the behind-the-scenes story of my journey to writing the Porsche Transaxle (working title) book, which will be published by Crowood Press in 2015. Having painted that rather dull and dreary picture of the life of a motoring hack, it “ain’t all bad.” By necessity though, an author in any sector of writing, must do some research and he/she will meet with other like-minded folk who can help with that research in different ways. But as I have heard all too often from some rather negative folk, “you’re not doing another book on Porsche, are you?” Well, the truth of it really is quite simple you explain, with heartfelt passion, because your book is different from every other book written on the subject — or so you would like to think. While the broad content of your book may well be similar to that of another, it is how you approach your subject and who you interview — at least in the motoring non-fiction world — that can make the difference. 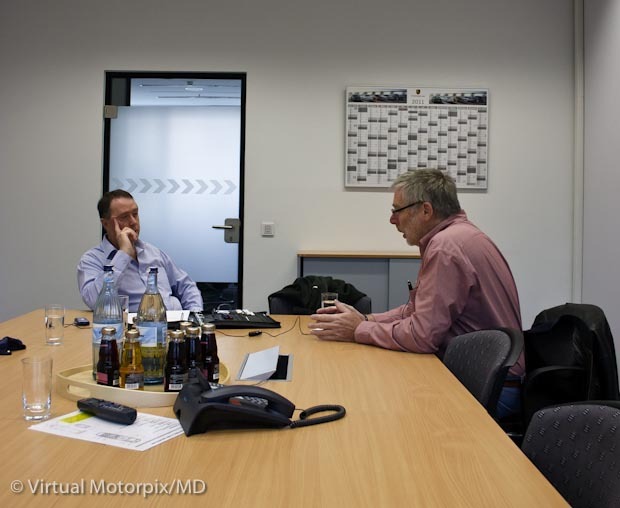 Over the years I have had the privilege to informally speak to, and to personally interview, some of the world’s greatest racing drivers, some of the current best-known vehicle designers, race engineers, production engineers, marketing people and so on. These personalities have spanned all the decades, and are spread around the world, from east to west, and north to south. It really has been quite staggering who I have been able to get to talk to in a relatively short space of time, and I count it as a real privilege in my work. So when I set about the planning for my latest book — the transaxle Porsches — some responded by saying that the front-engined Porsches were not real Porsches, but if truth be told, their design and development story is a fascinating one. While it might be the case that this subject has previously been covered in a variety of forms, some books have focussed on just the 4-cylinder cars, others the 928, some have covered the sporting side, while others still have looked at just one model. 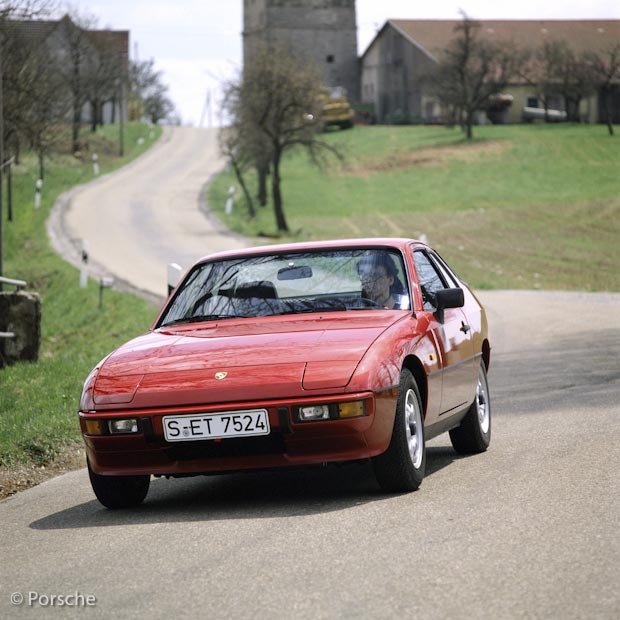 There are four distinct models that make up Porsche’s transaxle family, and in chronological order they are the 924, 928, 944 and 968. In this blog series, I will cover the people I have interviewed, some interesting places I have been to and things I have learned, that relate to these cars. The first of these will be on the 924, but subsequent blog posts will cover the other models at regular intervals. I was once told by my line manager many years ago, that I am the sort of person who would not be happy just having the workings of a computer explained to me, I would need to know where the raw materials came from that made up the computer’s components, and how the software made things operate inside the unit. 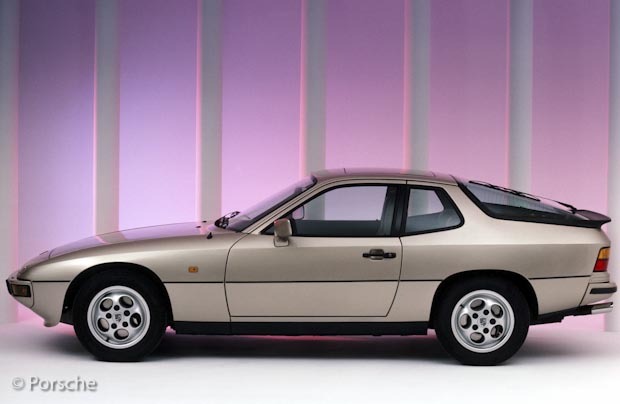 This does sum up my approach to an extent, because in researching the first transaxle model, the 924, I wasn’t happy just repeating that model’s well-known origins from material in the Porsche Archive, I wanted to know why the car looked the way it did, and what motivated the designer to do it that way. So the best way to do that was to speak to Harm Lagaaij himself, the 924’s designer. It was interesting to hear that, as a young designer in the early ‘70s, he was influenced by all kinds of factors. I was bowled over to find out how big a job it was to design a car in those days, let alone today, and this is after having written eight books to date, several of which have covered vehicle design. First things first though, a trip to the Porsche Archives in Stuttgart was planned and arranged for the beginning of 2014, and as I have learned on several trips there in the past, you always run out of time! The advantage of having done this all before is that the staff there get to know you, but I get the feeling that when I arrive for a research trip, they all hide because I ask the most obscure questions. But that is exactly what I want to do, because as I mentioned there is no point in just repeating what is already known. With all the reading and researching that I do in my work as a journalist, I reckon that if I come away having learned a whole lot of new stuff, then there will be others out there, such as some readers, who will also find out something new in my book(s). Unfortunately this time there wasn’t enough time during my January trip to Stuttgart to interview any people as I had several other magazine features to research and photograph there. This meant that I had to be content with pouring through original press releases and copying a lot of source material, and to organise telephone interviews once back in my office. My trip though also coincided with the unveiling of the Egger-Lohner C.2 Phaeton model from 1898, also known as the Porsche P1, Porsche’s first electric drive vehicle. Of course you must realise that many of the designers and engineers who worked on the cars you might be writing about — ones that were developed in the 1950s/1960s/1970s — may have moved on, retired, and in many cases (sadly) passed away. So your attempts to locate a specific designer or engineer, may just lead you up a blind alley. However, talking with Harm Lagaaij you quickly get the impression that there is no moss growing under his feet, as he not only rebuilt the 1970 AVS Shadow-Chevrolet Mk1 Can-Am racer, but he spends much of his time traversing the Alpine passes on two wheels. Lagaaij it seems, is living the ideal life of a retired automotive design engineer, and enjoying those things which he always dreamed of doing at a younger age. Since that first telephone interview with him, there have been several others, and it is so rewarding to not only learn from those who worked on your chosen subject car, but to also engage with someone who is as enthusiastic to share about the said vehicle now, as he/she was all those years back.